Region 21 Fall 2013 Banquet! While I’ve reported some on the Region 21 Fall Meeting, the banquet that was part of this meeting deserves its own thank you. The food, catered by Mangia, was great. I should have taken some pictures of the desserts; however, I was too busy enjoying them. 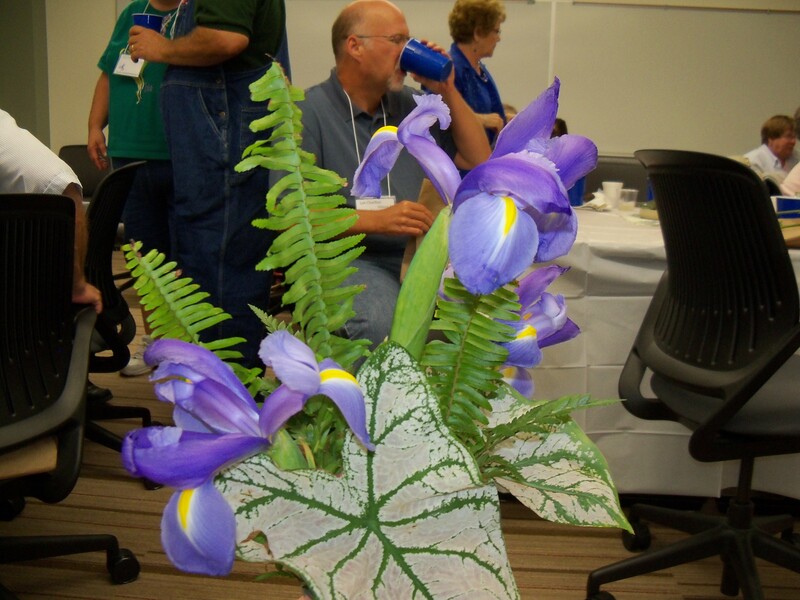 Our Greater Omaha Iris Society hosts provided everyone with a Sass rhizome! I believe they were all either ‘Midwest Gem’ or ‘Pretty Pansy’. And from the Sass Memorial Iris Garden. 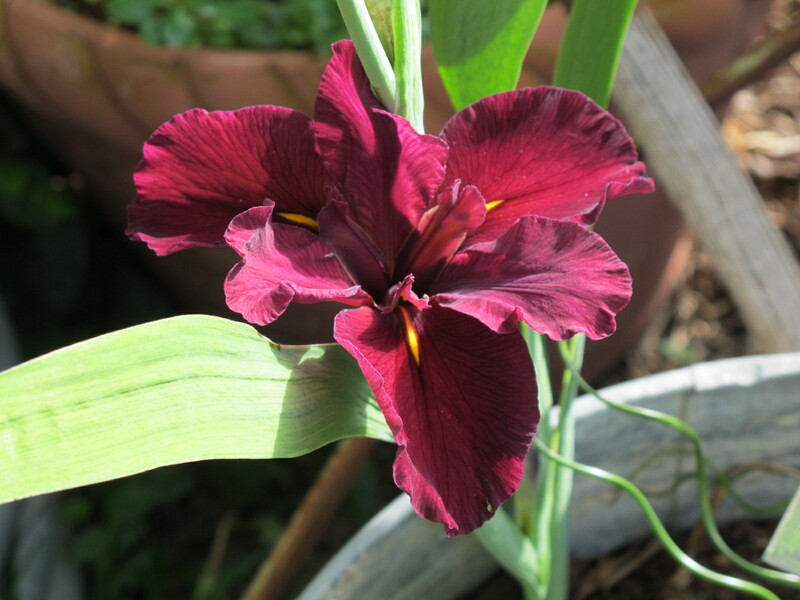 On a coincidental note, ‘Pretty Pansy’ was subsequently featured on the World of Irises blog in a posting: Iris Classics: “Pretty Pansy” which includes more of its history. Ron Crampton prepared the amazing centerpieces. I’m not even sure my picture does them justice. And, as I mentioned earlier, our speaker Bob Hollingworth expanded our horizons speaking on A World of Irids. Thank you to everyone for a most enjoyable and remarkable evening! 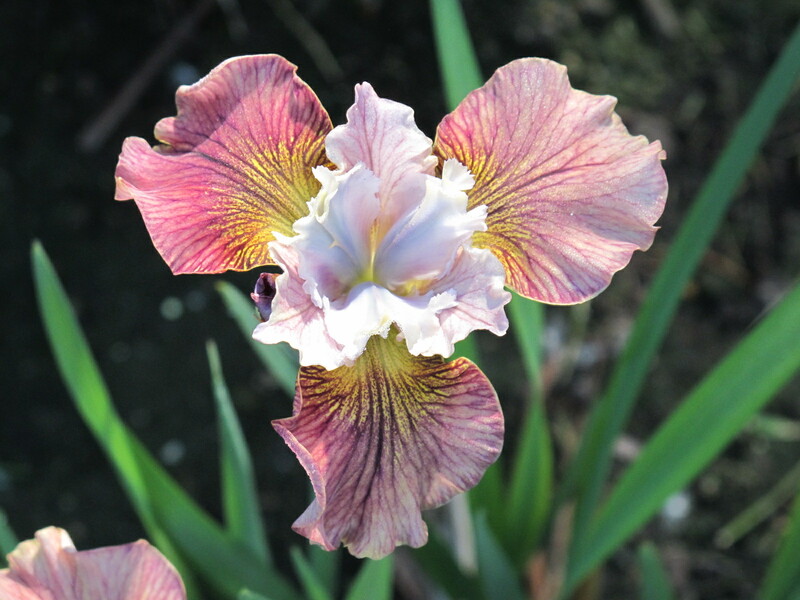 The Greater Omaha Iris Society‘s newsletter Iris Gleanings for September is now available. Included is their next meeting, September 9th, with Jim Hedgecock of Comanche Acres on Iris Spuria (which counts as 1 hour of Judges training). To see the newsletter, go to our Newsletter page and follow the 2013 33 Number 6 link to download or open the PDF of the newsletter.